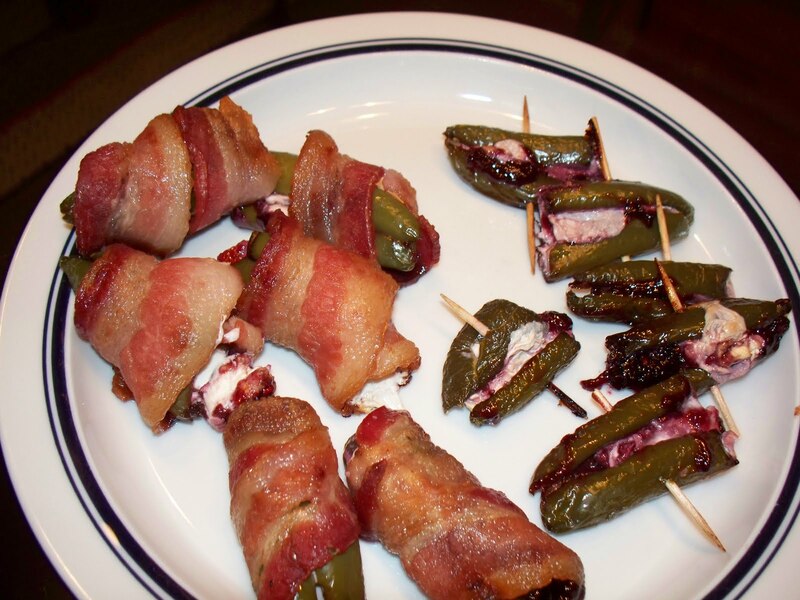 Jalapeno poppers are pretty standard bar food to be sure. But I can distinctly recall the very first time a barmaid planted a basket of them in front of me with a side of jam. Yes, jam. Ranch dressing be damned! Nothing can beat that delicious feeling of hot and spicy combined with melted cheese in the sweet sticky dip of jam. Nothing that is except this baked version. All the flavors, none of the frying! Oh, and, uh, bacon. Clearly. 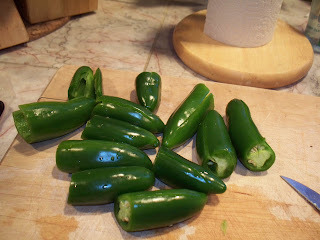 Lop the tops off the jalapenos. Slice open lengthwise to de-seed. Scoop out seeds with a spoon. Take the block of cream cheese and slice off 12 small chunks. 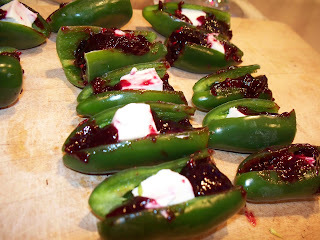 Stuff each pepper with one spoonful of jam and one small chunk of cream cheese. Take each “popper” and wrap it in bacon. 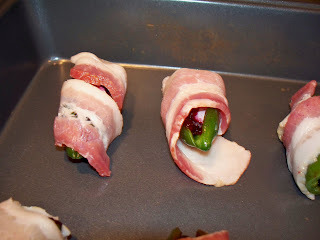 Place inside an oven safe dish and cook for 15 minutes or until bacon is crispy. bacon, cream cheese, jalapenos, leah charney, peppers. Bookmark the permalink. Post a comment or leave a trackback: Trackback URL.